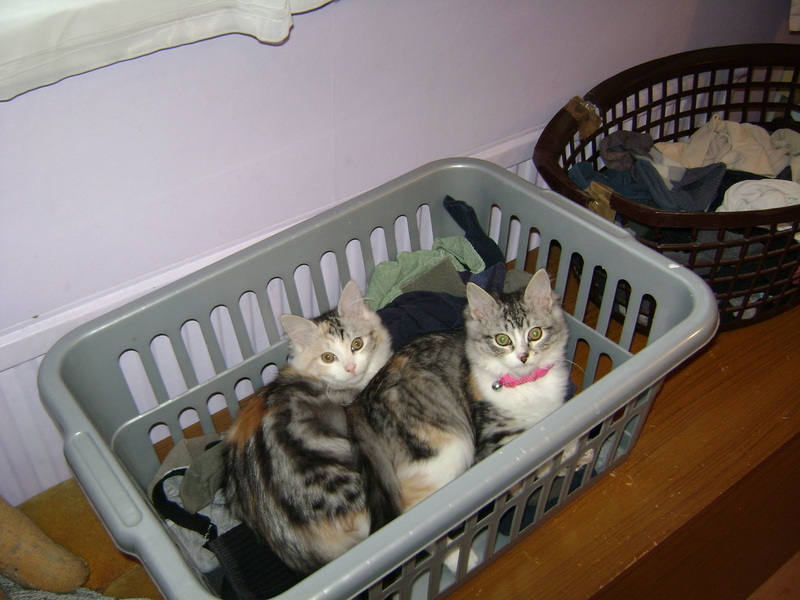 These pages are devoted to my two feline friends, Samantha and Tabitha, a pair of Turkish Van cats, who I acquired as seven week old kittens last year, and who have come to dominate my life and take over my house over the last year or so. 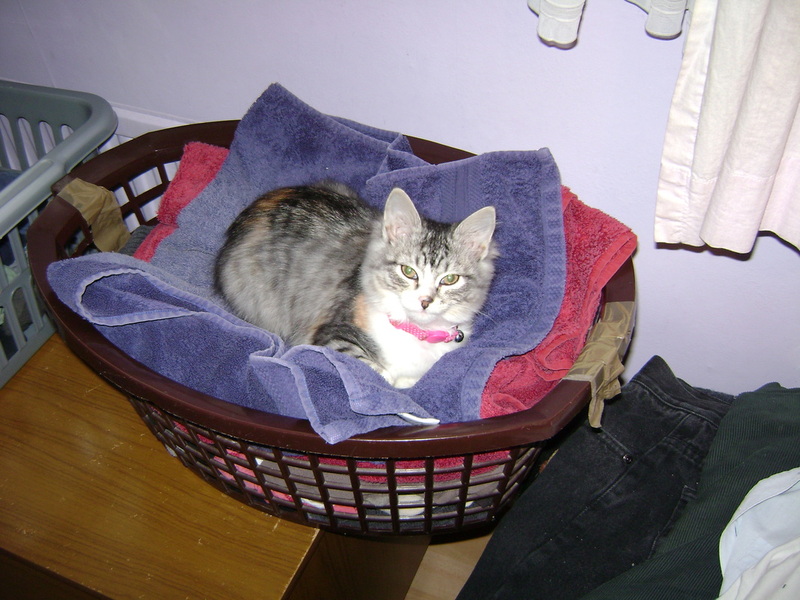 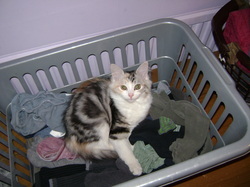 One of my kittens, Tabitha, aged about six months in the photo, monopolising the laundry basket as usual, one of her favourite sleeping berths. 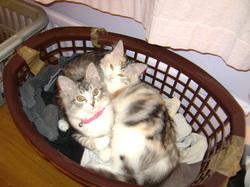 Samantha and Tabitha together in the laundry basket, aged about six months. 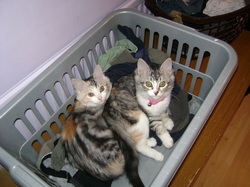 Samantha is at the back, Tabitha has the collar with bell. 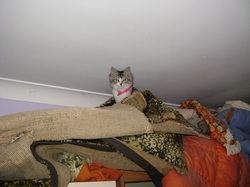 Tabitha goes exploring on top of the wardrobe. 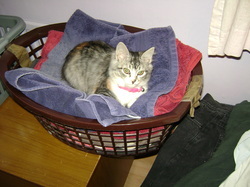 Samantha, aged about six months.